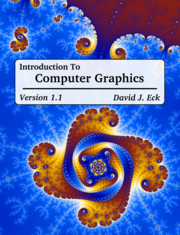 A free, on-line textbook covering the fundamentals of computer graphics and computer graphics programming. 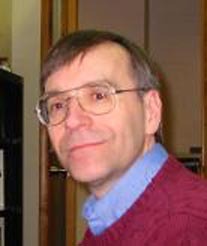 David J. Eck wrote:I have taught computer graphics every couple of years or so for almost 30 years. As the field developed, I had to make major changes almost every time I taught the course, but for much of that time, I was able to structure the course primarily around OpenGL 1.1, a graphics API that was in common use for an extended period. OpenGL 1.1 supported fundamental graphics concepts in a way that was fairly easy to use. OpenGL is still widely supported, but, for various reasons, the parts of it that were easy to use have been officially dropped from the latest versions (although they are in practice supported on most desktop computers). The result is a much more powerful API but one that is much harder to learn. In particular, modern OpenGL in its pure form does not make for a good introduction to graphics programming. My approach in this book is to use a subset of OpenGL 1.1 to introduce the fundamental concepts of three-dimensional graphics. I then go on to cover WebGL—a version of OpenGL that runs in a web browser—as an example of the more modern approach to computer graphics. While OpenGL makes up the major foundation for the course, the real emphasis is on fundamental concepts such as geometric modeling and transformations; hierarchical modeling and scene graphs; color, lighting, and textures; and animation.